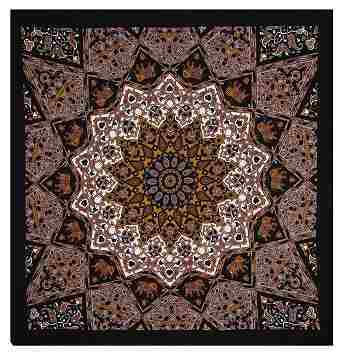 This intricate Indian print bandana is the smallest version of our Indian Star Tapestry. Manufactured by traditional methods in India, our bandanas made from luxurious, 100% cotton and their vibrant, intricate printing is soft to the touch. Whether you wear one as a fashionable accessory or use a set as decorative wall hangings, our bandanas bring a touch of panache to any situation. It measures 22" x 22".